Amy L. Ai, PhD, MS, MA, MSW is a Professor in the Colleges of Social Work, Arts and Sciences (Psychology), Medicine (Social Medicine and Behavioral Science), Social Science and Public Policy (Pepper Institute), and Nursing at Florida State University. She is also an affiliate member of the Institute for Successful Longevity. 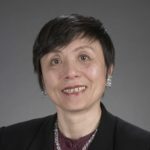 Dr. Ai earned her three masters degrees and her doctorate in Psychology and Social Work at the University of Michigan, and then completed her postdoctoral training with the National Institute of Aging (NIA). Her academic career has focused on interdisciplinary, mixed-methods research on traumatic experiences, existential crises, and positive psychology. Dr. Ai’s work in trauma psychology specifically addresses the role of spirituality in both posttraumatic stress and growth. Her research has covered different types of potentially traumatic events such as open-heart surgery, regional war, terrorist attacks, national disasters, and childhood abuse among minority immigrants. She is a John A. Hartford Geriatric Faculty Scholar and a Fellow of the Association of Psychological Science, American Psychological Association (Divisions 38, 36, and 20), and the Grontological Society of America. Her work in collective trauma led to awards as a Senior Fulbright Specialist to both Germany and China. In 2016, she received a prestigious appointment as a Distinguished Chair of the Fulbright Scholar Program on trauma-informed practice and leadership development. Dr. Ai has been Principal Investigator or Co-Principal Investigator on grants totaling over $2.5 million, awarded by federal and state governments as well as independent foundations. She is a scientific grant reviewer for national, international, and privately funded agencies including the Department of Defense, Department of Health and Human Services, the National Institutes of Health, the Patient Centered Outcome Research Institute, the United Kingdom Economic and Social Research Council, and the John Templeton Foundation. Dr. Ai has authored over 124 research articles and edited a book. Additionally, Dr. Ai was a Gubernatorial Appointee to former Washington State Governor Christine Gregoire as a board member of the Washington State Council on Aging, and an At-large Delegate and Representative of Academic Settings to the 2005 White House Conference on Aging. Outside of work she enjoys listening to music, bike riding, swimming, and watching movies.